ANKARA — For the fifth time since October, another bomb has rocked one of Turkey's two biggest cities — Istanbul and Ankara — pushing the overall death toll in recent months to nearly 200 with hundreds more injured. 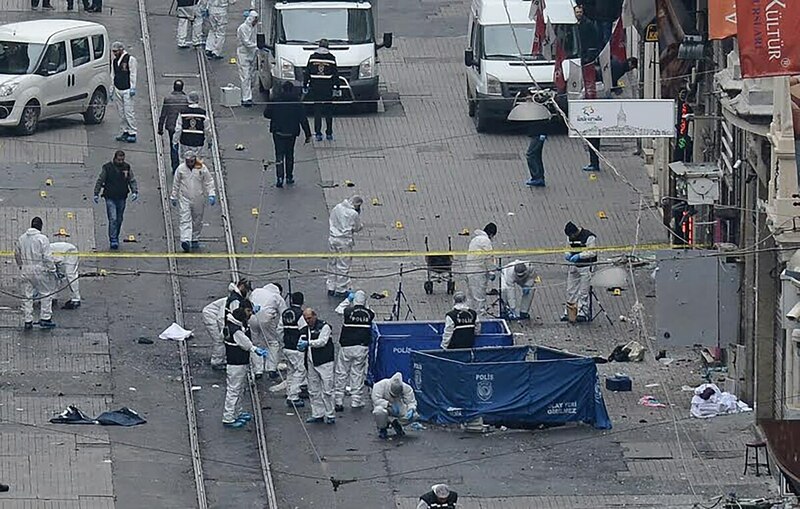 The latest suicide bomber struck March 19 on Istiklal Avenue, one of Istanbul's busiest streets and a favorite tourist attraction. It killed three Israelis, one Iranian and injured more than 30 others. Two of the Israeli citizens who died also had US citizenship, Turkish officials said. Turkish Interior Minister Efkan Ala March 20 identified the suicide bomber as Mehmet Ozturk, born 1992 in the southern city of Gaziantep. Ala said Ozturk had links with the jihadist Islamic State of Iraq and the Levant (ISIL) group. The bomb in Istanbul was the second radical Islamist suicide attack on tourist groups in Istanbul since January. Another suicide bomber killed 10 German tourists at another tourist attraction in Istanbul in January. On March 13, two suicide bombers belonging to a Kurdish insurgent group killed 35 civilians in Ankara and injured more than 125. On Sunday, many roads in Istanbul were cordoned off for security reasons, and television footage showed streets and areas that are usually bustling virtually abandoned. A soccer derby game between two major teams of Istanbul, Galatasaray and Fenerbahce, was postponed for security reasons on short notice. In Ankara, too, streets on Sunday were empty with few cars driving and fewer pedestrians than usual out. Most main roads had security checkpoints. One anti-terror expert said that an end to urban bomb attacks in Turkey did not look imminent. "This may be a new wave of terrorism that may target Turkish cities in the next few years, at least," he said.